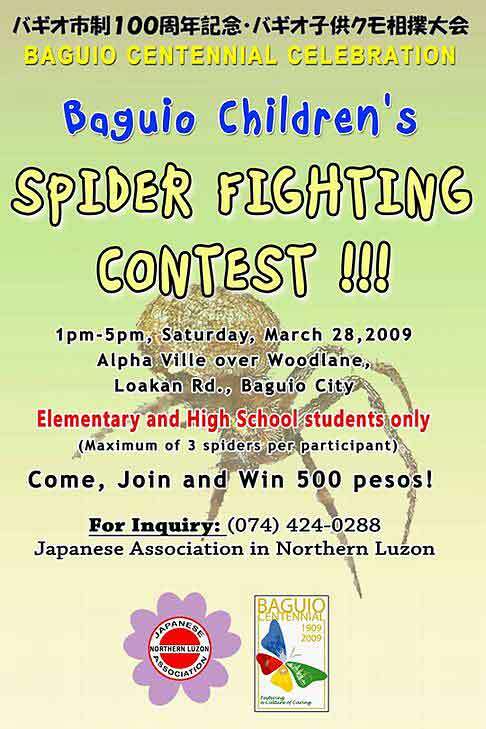 Japanese Association in Nothern Luzon, Inc. will have Baguio Children's Spider Fighting Contest for Elementary and High-School children (under 17 yrs old) supported by Baguio Centennial Commission. And I'll act as adviser in the contest. See also: http://www.natureoz.net/PHILIP_1.htm (in Japanese) for detailed description on this competition.